The Emerald is the birthstone of May and is believed to grant owner foresight, good fortune and beauty, as well as being a symbol for rebirth and love. Among one of the rarest gemstones, the Emerald is typically a vibrant green in colour resulting in it being a favourite for people to use in fashion jewellery. And when sourced in top form, can even be more valuable than diamonds. The magnificent colour is striking and is very appealing when made into fashion necklaces, rings and earrings. 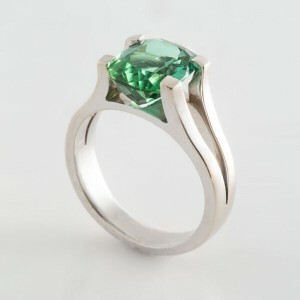 Stunning Emerald stone set in white gold. 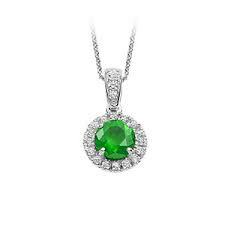 Elegant Emerald and White Diamond pendant.